Kimjang is now UNESCO Cultural Heritage. 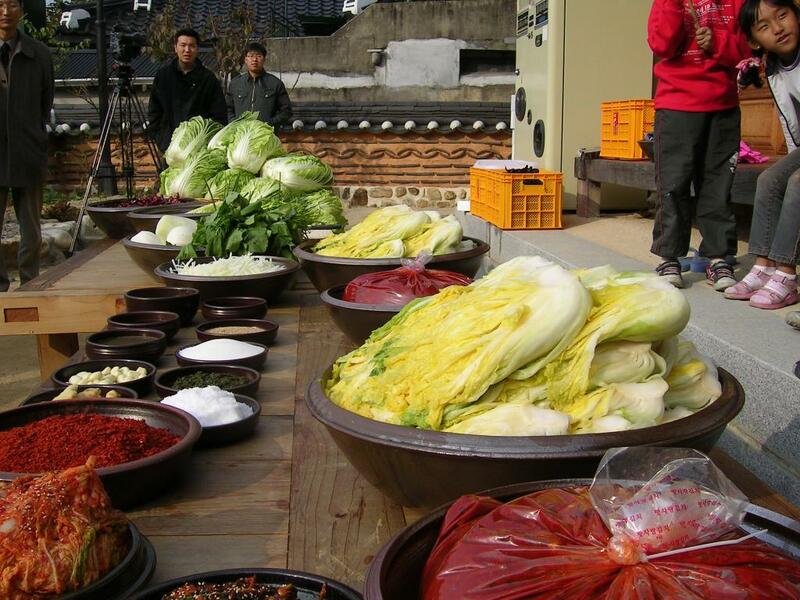 The process of making kimchi, Korea’s iconic side dish, entered the UNESCO list of intangible cultural heritages, according to the South Korean government. UNESCO selected “kimjang,” a term coined to describe Korea’s tradition of making and sharing kimchi in the fall, as an Intangible Cultural Heritage of Humanity at the eighth Intergovernmental Committee for the Safeguarding of the Intangible Cultural Heritage in Baku, Azerbaijan. The process of making kimchi, Korea’s iconic side dish, entered the UNESCO list of intangible cultural heritages on Thursday, according to the South Korean government. This entry was posted in Korean food, News by admin. Bookmark the permalink.